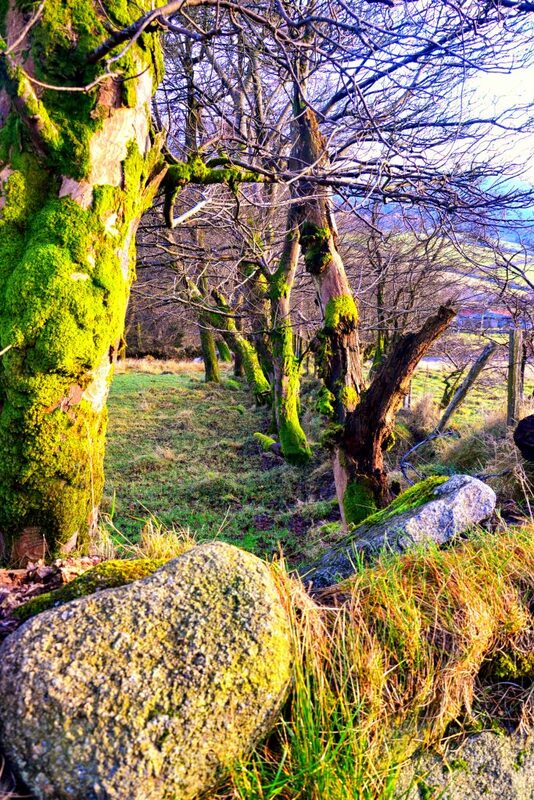 Colours of Wicklow Mountains changes with seasons. Heathers and gorses give brilliance of colours from violet to grey, brown, and yellow to gold. Romantic and mysterious, sometimes gloomy and hazy. With little vegetation and almost no trees. 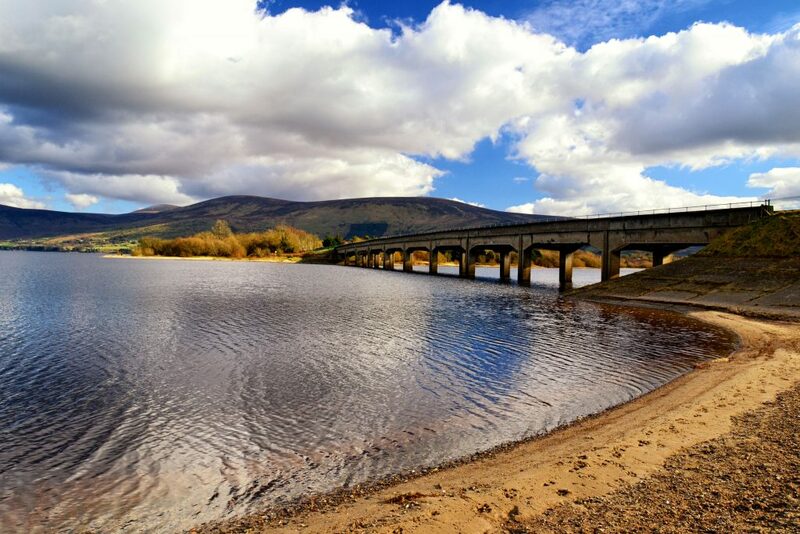 Wicklow Mountains are not giants in height, but have a charm which makes it perfect destination while in Dublin. It’s a stone throw from Dublin to Wicklow Mountains. 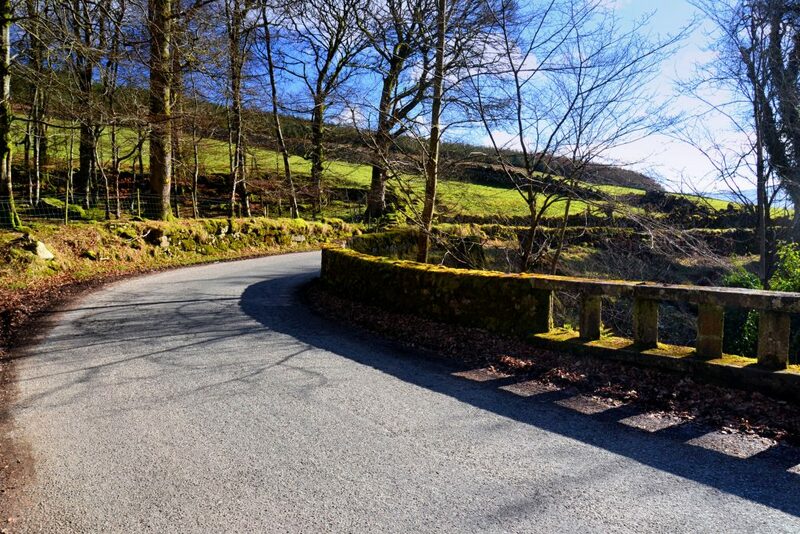 When one has a decent condition you can do a cycle trip or a proper climbing training. As you can image we know this area inside out as they are the only mountains we have on a daily basis for good few years. We want to introduce you to a few places worth a visit and depending on a season not always overcrowded. They say there are 1.5-2mln tourists passing by Gledalough valley every year. If you are around better visit now then wait few more years and try to time your visit off season. 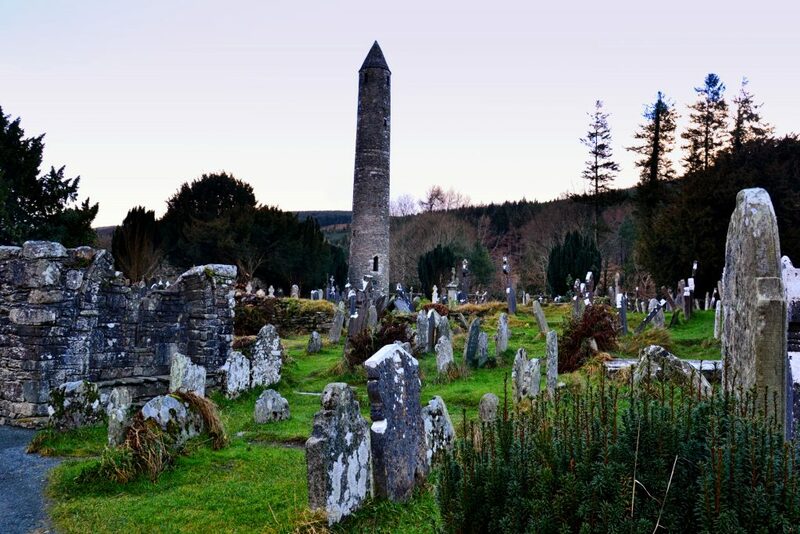 In Glendalough you can find St Kevin’s Abbey and monastic city from 6th century, two lakes and walking path around the valley. 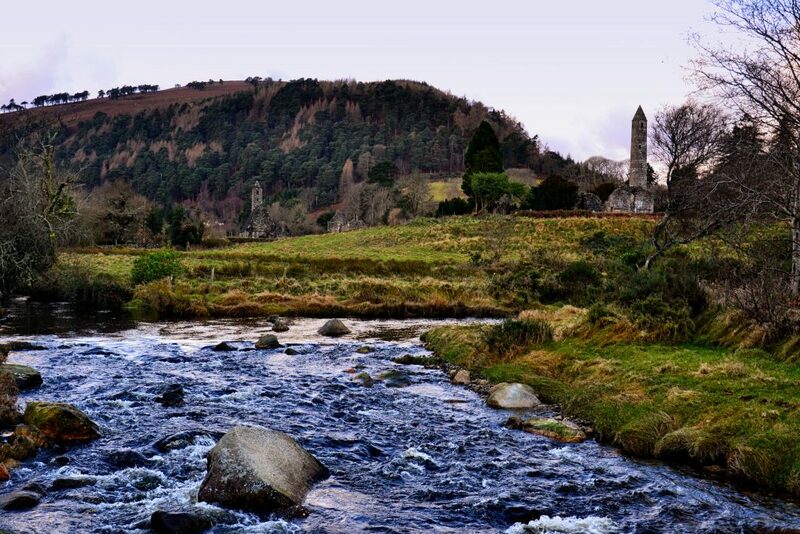 Glendalough looks stunning all year round. You can find more info here. In 2014 Glendalough Gin started to be distilled (distillery located in Newtown Mount Kennedy). Their Wild Botanical gin is available in 42 countries around globe, but only in Ireland you can get seasonal and limited editions, great idea for a gift or a souvenir especially that all wild botanicals are being foraged in Wicklow Mountains. There will be new distillery and visitor centre built by the road just before the valley opening most likely in 2020. 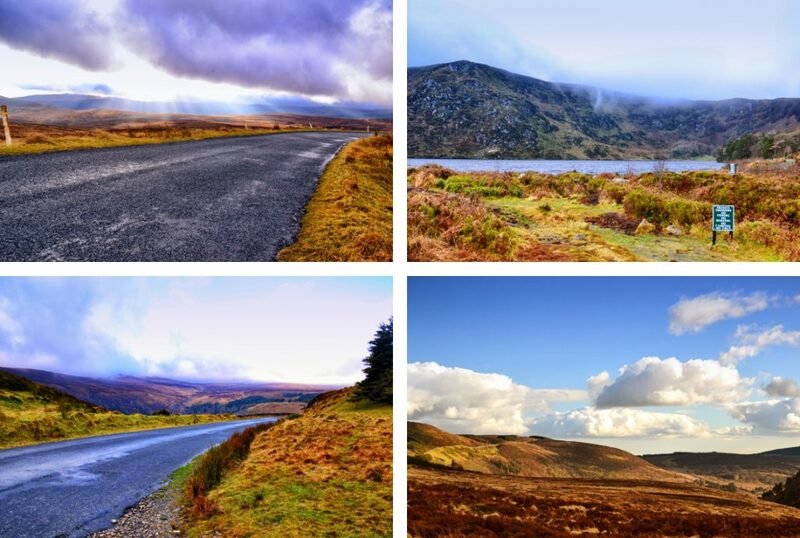 Scenic drive to Wicklow Gap starts there as well. 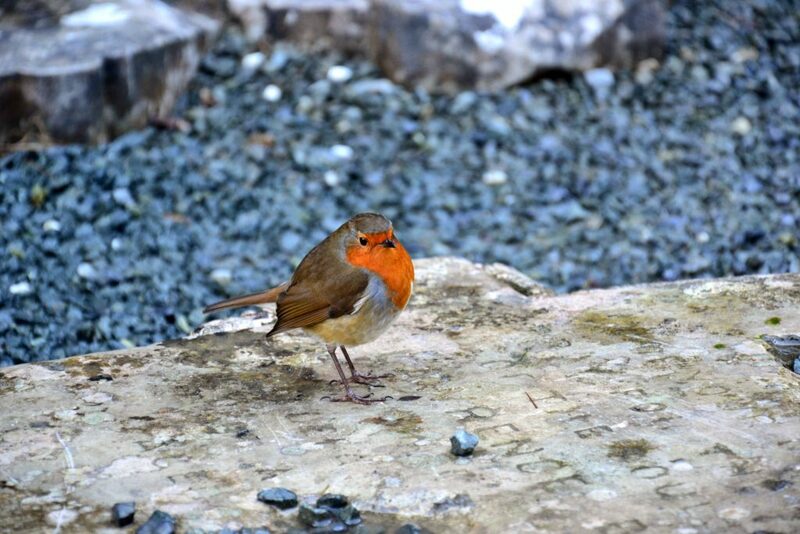 Located in Enniskerry house and gardens are perfect location for a trip. 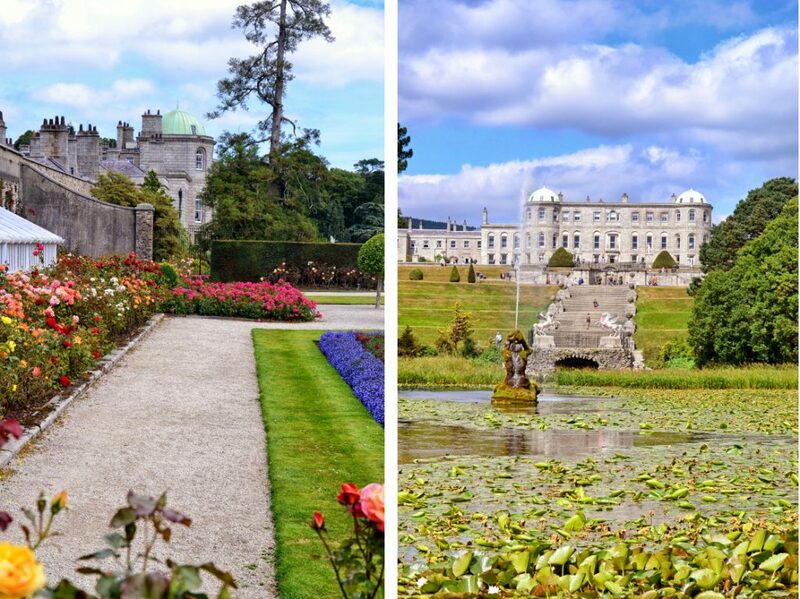 Castle originally from 13th century transformed by Viscount Powerscourt into a grand mansion. The main attraction is a beautiful garden amazingly integrated with a landscape. Ticket price is 10 euros and 7.5 for off season. Garden voted by Lonely Planet no 3 in the world and top 10 for houses and mansions. With grand attraction comes grand crowds, it is one of the most popular tourist sites when visiting Dublin. 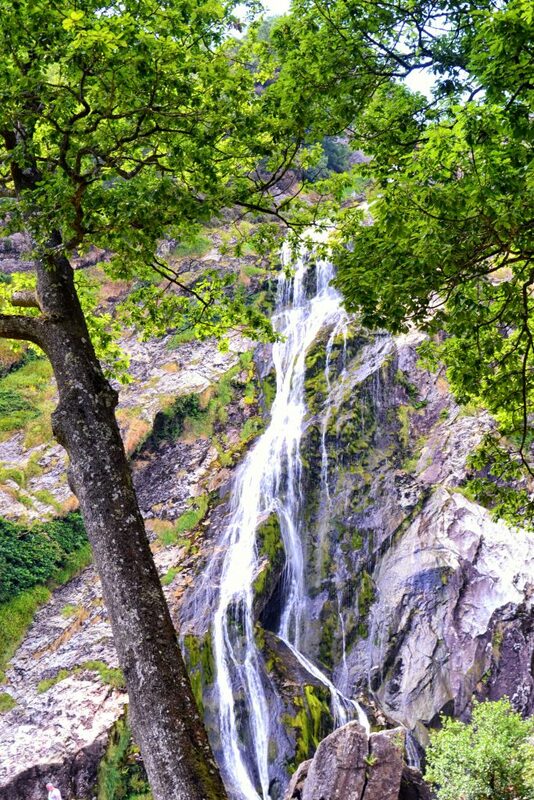 Highest waterfall in Ireland (121m) cannot be missed. Great spot for a picnic when sun shines. Located 6km from main house, lie on private grounds and 6 euro tickets have to be paid at the gate. 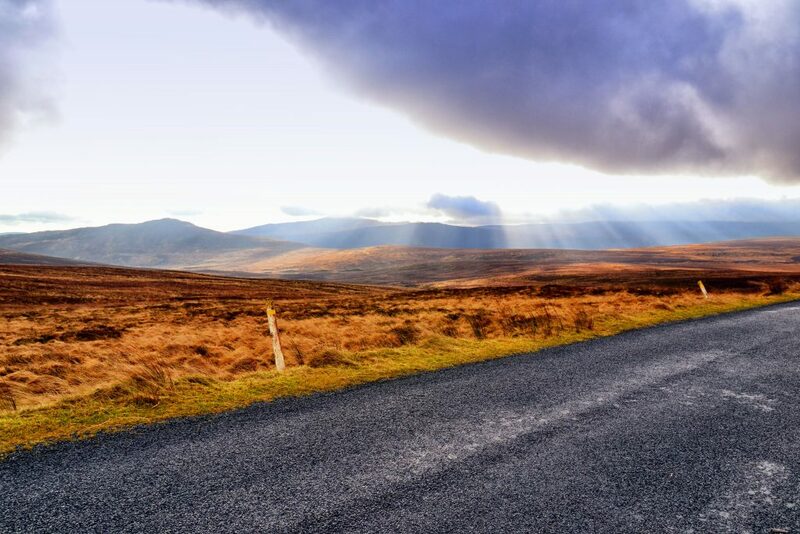 The highest mountain pass in Ireland rising above 500m with scenic roads. You can get there from 4 sides and there is plenty places you can stop for a photo. Empty windy roads invites to go a little faster but be careful there is probably a sheep around next corner. 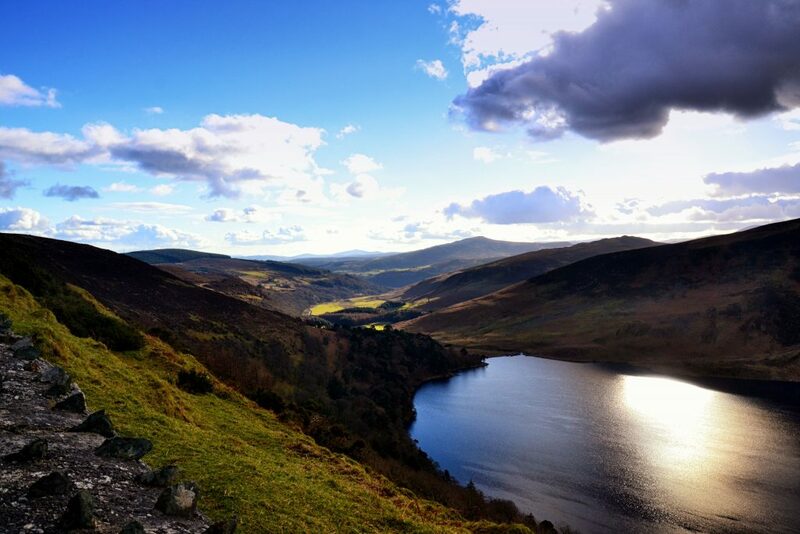 Actually Lough Tay but everyone knows it as Guinness. Owned by great Guinness family. 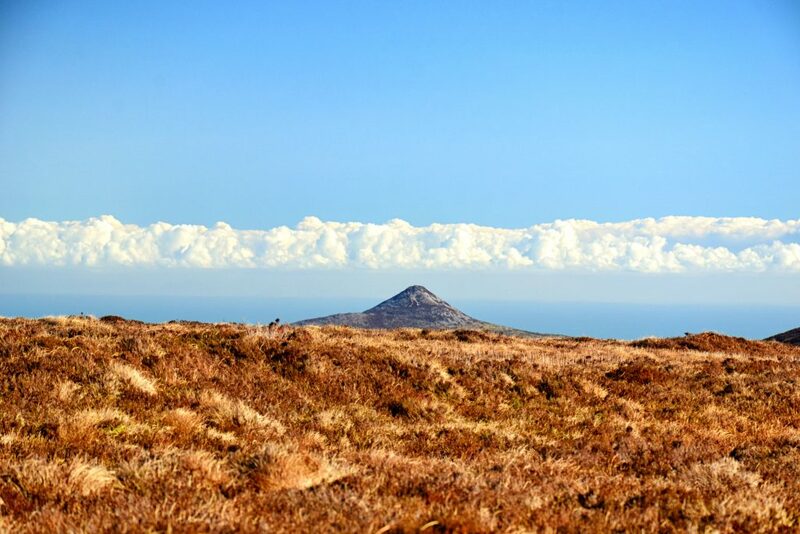 In Ireland almost every pieces of land belongs to somebody so don’t be surprised people own lakes, forests and so on. 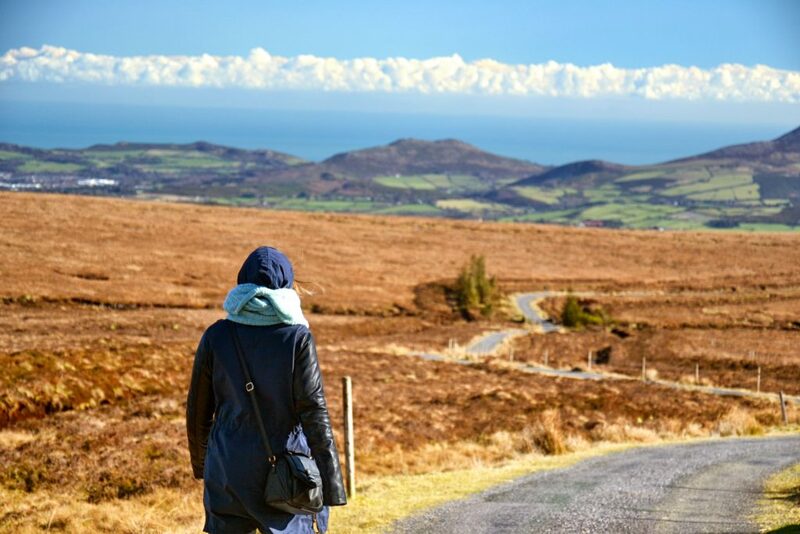 The best view is from view point by the road going from sally gap – simply spectacular! But that the closest you can get. Small Mountain rising 501m.a.s.l with a very characteristic shape. Trek takes only 1h and is 2.5km long but views are spectacular! Not really demanding walk suitable for kids. Mel Gibson was on the top on couple of occasions. We got there spontaneously taking a detour from Roundwood after spotting a sign. We followed the paved road as far as we could passing by Lough Dan Scout Centre. We took a signposted trek and admired the lake from the top. We saw you could reach the lake from the other side. 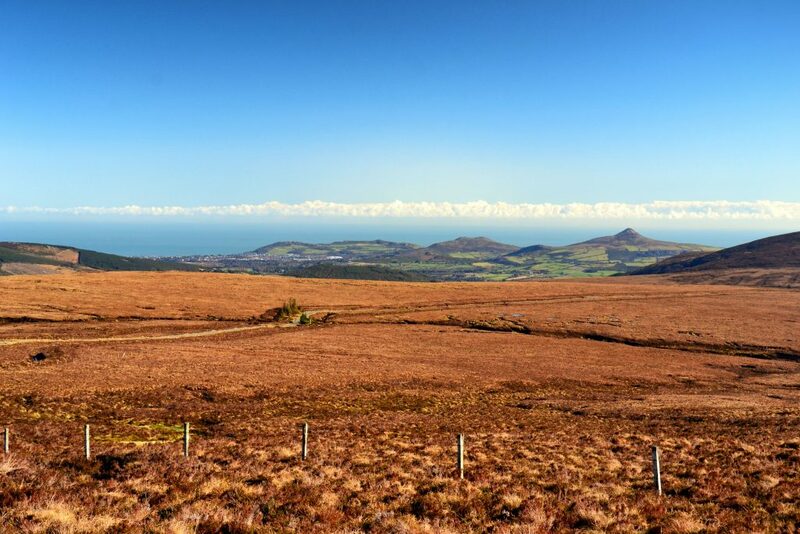 131km long route thru Wicklow Mountains. Starting in Marlay Park in Dublin going all the way to Clonegal in Carlow. It’s said you need 8-10 days to complete but we think you can do it in 6. We would love to do it but for now we do not really have time. 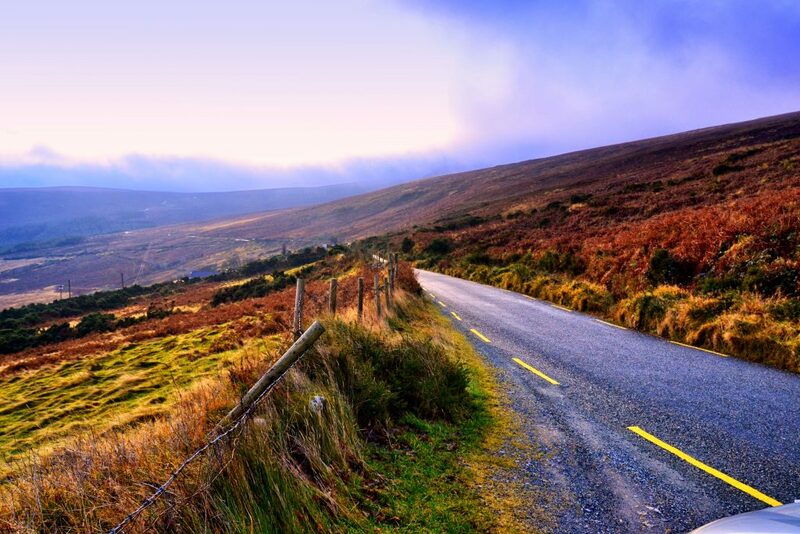 Wicklow Heather in Laragh – very popular place where reservation is essential in summer months. Tasty food with nice menu. They serving A’la Carte on Sunday which is different to all pubs around which serve carvery . They say it isn’t unusual to meet some celebrities there, not only Irish. Byrne & Woods w Roundwoods – Byrne is a bar part (with short bar menu) and Woods is a bistro restaurant. It’s popular in Ireland to have public house divided this way. Menu is simple, short and food is delicious. Huge portions of tasty chowder or goat cheese in filo pastry are few to mention. 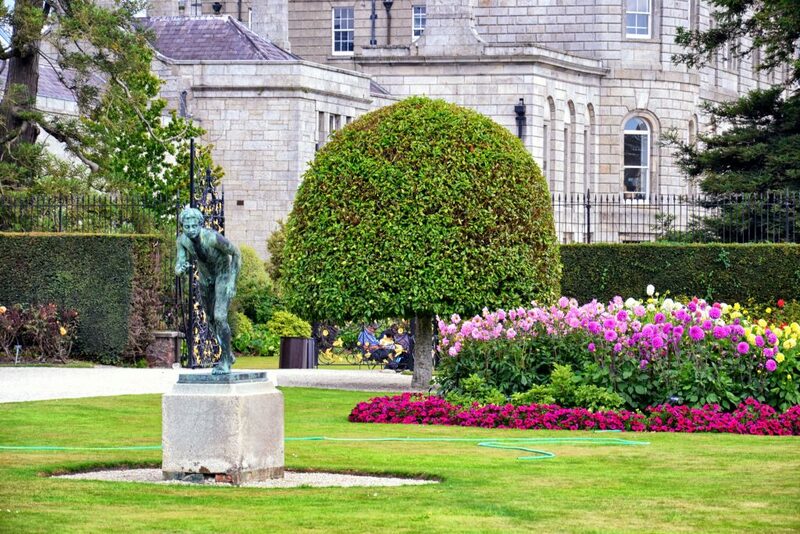 Powerscourt Hotel – everyone who would like to spend a bit more and find himself in luxurious environment should come down to Powerscourt Hotel. You can visit main Sika restaurant for dinner or enjoy Afternoon Tea in Sugar Loaf Lounge with a spectacular view of Sugar Loaf Mountain. If one wants only a coffee ask for daily dessert selection and choose one of many little pieces of art.